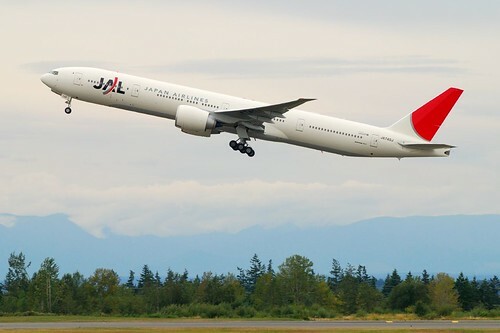 Japan Airlines (JAL) has officially confirmed that it will be undertaking a major cost cutting initiative for the upcoming IATA Winter 09-10 season which will carry forward into the whole of 2010 as well. This includes suspending 24 international routes, some of which that have been operating for decades. The major long haul routes that the airline is seriously contemplating to suspend are Milan, Rome, Sao Paulo and Mexico City. Option B - fly 5 times per week NRT-DEL-MXP with a B 744 if the bilateral agreements allow it to with full 5th freedom traffic rights. There is big demand from DEL to MXP year round and no airline flies this route nonstop. Cargo revenue too on the DEL-MXP route would be of decent yield for JL. MNL - for the IATA Winter season, frequencies will be increased from 12 weekly to double daily nonstop using an A 332 + A 343 each respectively. TRV - effective March 27th 2010, capacity will be increased from a daily A 320 to a daily 2 class configured A 332. Air France has officially announced that it will be reducing capacity to Delhi, India from the entire IATA Winter 09-10 from the usual daily Boeing 747-400 nonstop operated flight from Paris to 4 weekly B 744s + 3 weekly A 343s from end Oct till Dec 8th. From this date onwards which will be see further reduction to 3 weekly B 744s + 4 weekly A 343s. Singapore Airlines has officially announced that it will be increasing frequencies to IAH-Houston, USA from Dec 12th 2009 by adding a 5th weekly flight to the city. All 5 flights will be flown via DME-Moscow using a Boeing 777-300ER with full 5th freedom traffic rights on the IAH-DME-IAH sector. Air Canada has revealed on the GDS that it will be reducing its frequencies on its popular Vancouver-Hong Kong route for the IATA Winter 09-10 season as well as Vancouver-London. YVR-HKG will be reduced from daily nonstop flights to 5 weekly using a B 777-300ER where as YVR-LHR will not be increased as planned from 7 to 9 weekly flights effective Dec 14th. Kuwait Airways has officially confirmed that it will be increasing its flights to FCO-Rome for the IATA Winter 09-10 season from the current 3 weekly to 4. KU will be using an A 343 twice a week along side an AB6 twice a week on the KWI-FCO route. In addition, KU has also confirmed that it will be increasing its flights to KUL and JKT for the Winter season by adding a 3rd weekly flight on the KWI-KUL-CGK sector using an A 343 for all the flights. Virgin Atlantic has officially revealed on the GDS that it will be reducing capacity on its London-Delhi route for the entire IATA Winter 09-10 season by 71 seats per day. Currently, flights are operated on a daily basis using an A 340-600 however, this will be reduced with VS deploying the smaller A 340-300 instead. Seems like AI's increase of DEL-LHR from daily to 10 weekly has already had its first negative reaction from a competitor. a) Both the countries are allowed to operate with multiple designations. For the designated Indian carriers, the points of call in Saudi Arabia are – Jeddah, Riyadh, Dammam and Medinah. 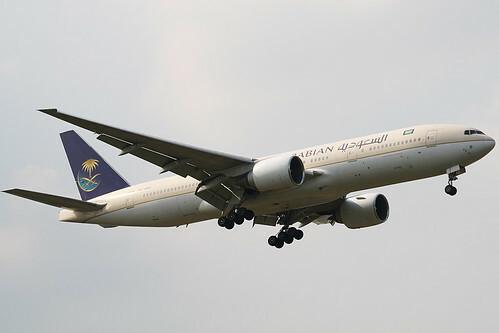 For Saudia, the points of call are – Mumbai, Delhi, Chennai, Cochin, Hyderabad, Bangalore, Calicut and Lucknow. The capacity entitlement is 75 services per week with any aircraft subject to maximum capacity of 20,000 seats in each direction. b) The capacity entitlement for the designated airline of each side has been enhanced from the existing 8,500 seats/week with frequencies not exceeding 31 services to 20,000 seats/week with frequencies not exceeding 75 services per week. c) Bangalore, Calicut and Lucknow were granted additional points of call for the Saudi designated carriers apart from the existing Mumbai, Delhi, Chennai, Cochin and Hyderabad. d) Medinah has been granted as additional point of call for India designated carrier apart from the existing Jeddah, Riyadh and Dammam. e) The capacity to be operated by the Indian designated carriers to/from Dammam for which an open sky policy has been declared by the Government of Saudi Arabia, shall not be counted against the capacity entitlements available to the Indian carriers. f) Both sides have also agreed for the open sky with regard to all cargo services with full third and fourth freedom traffic rights. Could someone please inform Mr Mallaya that instead of wasting his money by using A 332s to fly daily BOM-SIN + BOM-HKG each respectively, it would be more profitable for Kingfisher Airlines to use the A 332s on higher density and higher yielding India-Saudi Arabia routes from BOM/DEL/BLR. 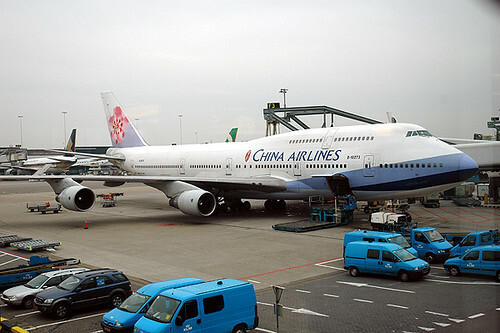 China Airlines of Taiwan has officially announced that for the IATA Winter 09-10 season, it will be reducing its frequencies to FCO-Rome from 3 weekly to twice a week due to lower anticipated demand for its flight. Its flights to FCO are flown via BKK with full 5th freedom traffic rights using an A 340-300. BMI (British Midland) has officially disclosed on the GDS that it will be reducing its flights to TLV-Tel Aviv, Israel from the on set of the IATA Winter 09-10 season. Currently, double daily nonstop flights are flown from BD's LHR hub using an A 332 however these will be reduced to 12 weekly with an A 332 from Oct 27th 2009. Double daily services wont operate on Friday and Saturday.